Item Dimensions: W63/95" x D35" x H30"
Can't wait to have guest over. This table is perfect for my space. I am so excited about my purchase! exactly what we wanted, and even more beautiful in real. 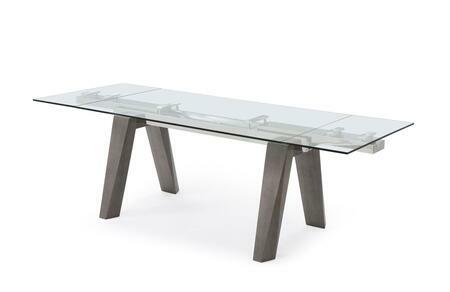 I wanted an inexpensive, modern dining table with clean lines. I came across several similar styles I liked, but ultimately chose this one because the reviews were overwhelmingly positive. Overall, I'm pleased with the purchase. It was even prettier than I had hoped! Just as described. I would recommend this Valencia Collection from Whiteline. If you're looking for a very sturdy table with distressed farmhouse look this is the one for you. This table will be around for a long time. This dining set is absolutely beautiful. It looks better than the picture. I love the wood because there are several colors mixed in so it matches pretty much anything. Such a great price for something this nice. Easy to put the pedestal on and well packaged. I absolutely adore this table. Just what I was looking for!. 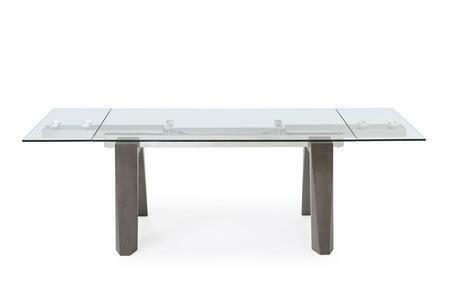 Valencia Collection table from Whiteline that will go well in any style decor, modern, Great value, etc. It's heavy and sturdy, well worth the cost.